I'm an artist and a teacher. 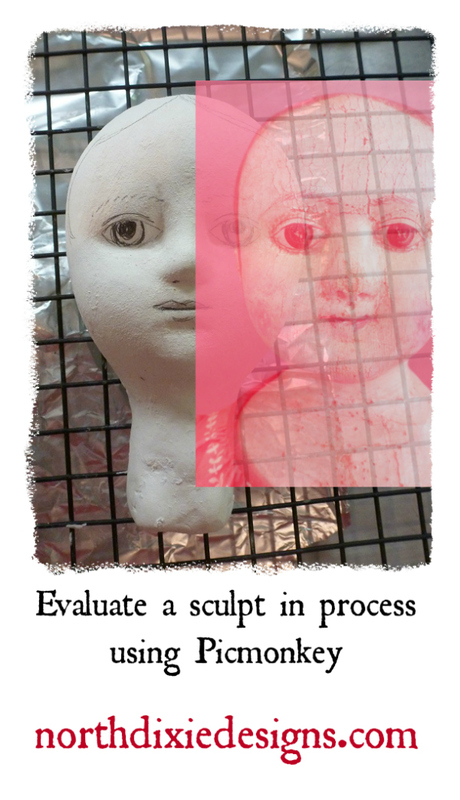 As a teacher, I stumbled on a way to evaluate sculpts in process using Picmonkey, the photo editing site. I love Picmonkey.com! If you make antique inspired works, it is helpful to see how your work is comparing to the original antique inspired work. I make Izannah Walker inspired dolls. I'm fine with them being a bit different from the originals and having my own mark. But I do like to get in the ball park. 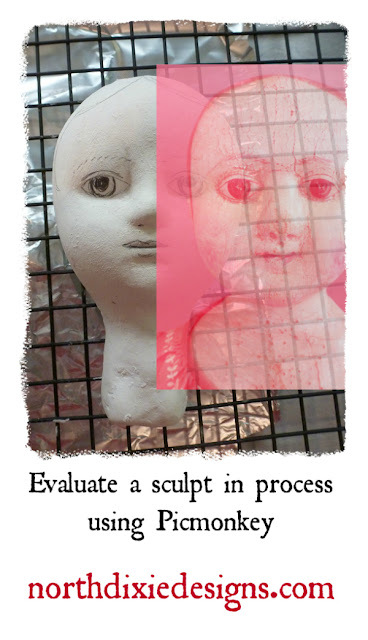 Anyway, here is a tutorial for evaluting sculpts in process against original antiques. Thank you so much Dixie! Smart way! I just came over from MAIDA as I saw this post to see all about it on your blog. Quite an interesting format to use. Thank you for this information. 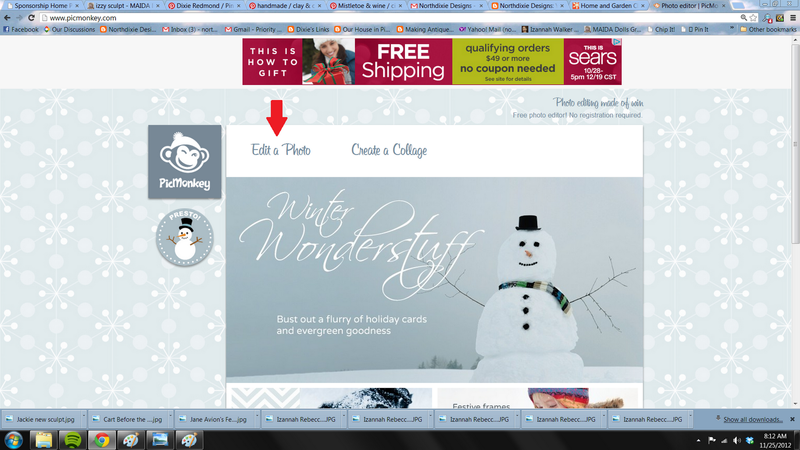 Now I know what Picmonkey is!!! Thanks a bunch! Hope you had a lovely four day Thanksgiving holiday weekend.